Become the Best Around! 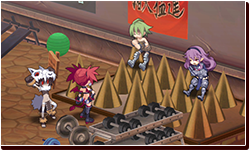 Get That Perfect Body and Charisma at the Demon Dojo! 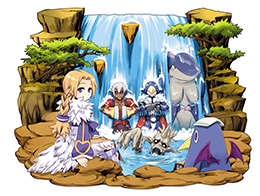 You could be a mysterious hero or a super idol, it doesn't matter who you are! 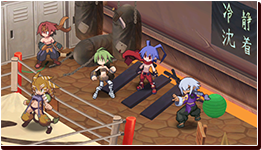 If you want to be the most popular or strongest in the Netherworld... Then the Demon Dojo is for you! 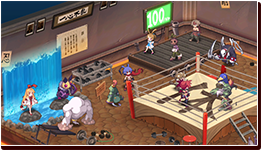 The Demon Dojo is inside the Overlord's Castle, and is there to train demons both mentally and physically. Those who train at the dojo get stronger at an accelerated rate, so even if they're the same level as a different character, their stats will be better! This is the Demon Dojo! The Demon Dojo has 3 rooms. They are the Fitness Room, the Weapon Training Room, and the Intelligence Room. Choose the room that best fits you, and train away! 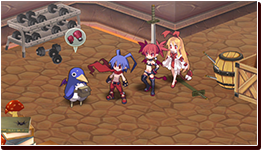 The receptionist will either be Etna or a Prinny. The Demon Dojo can bring you charisma and fame, but the training can be really hard. So Many Kinds of Training to Choose From! 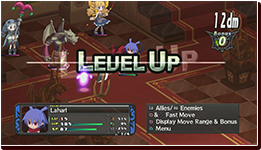 Boost Your Stat Increases When Leveling Up! 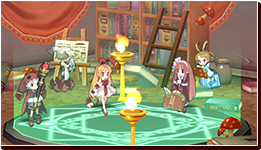 Depending on the training you choose, the character's stats will increase even more when they level up. This means they'll have a leg up over other demons. 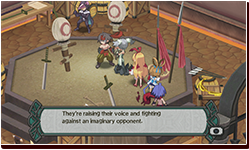 There are also kinds of training allow characters to earn more EXP. 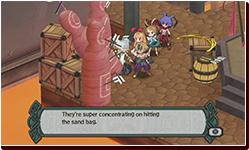 Other kinds include training that increases Weapon Mastery faster. ATK training! With the weapon in your hand, give your imaginary enemies a good thrashing! You'll soon deal more damage to real enemies! EXP training! By taking a million practice swings, you'll be in a new state of mind. And from there, you'll learn something new! DEF training! Endure standing on the spikes. By learning to deal with these spikes, you will be able to learn the art of taking less damage (theoretically). Demonic Charisma and Mental Training! 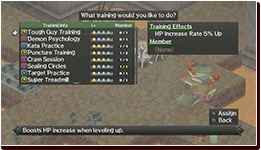 In addition to stats and level training, you can train your charisma and mental power! When a demon trains their charisma, other demons will like them more, thus increasing their likeability. By training their mental power, demons will be able to achieve unexpected levels of luck. 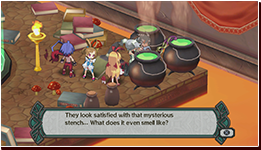 Pots full of pheromones... You can be super popular starting today! The More You Train, the Better Your Results Will Be! The more you do of one kind of training, the more other people will be able to simultaneously do that same training, so train away!